When purchasing equipment and appliances, most people want to know about the features and inner workings of the product. Commercial laundry equipment is no different, and as a business owner you should have a good understanding about the product you are purchasing. You will also want to know where to buy the best commercial laundry equipment at the same fair-price as lesser brands. 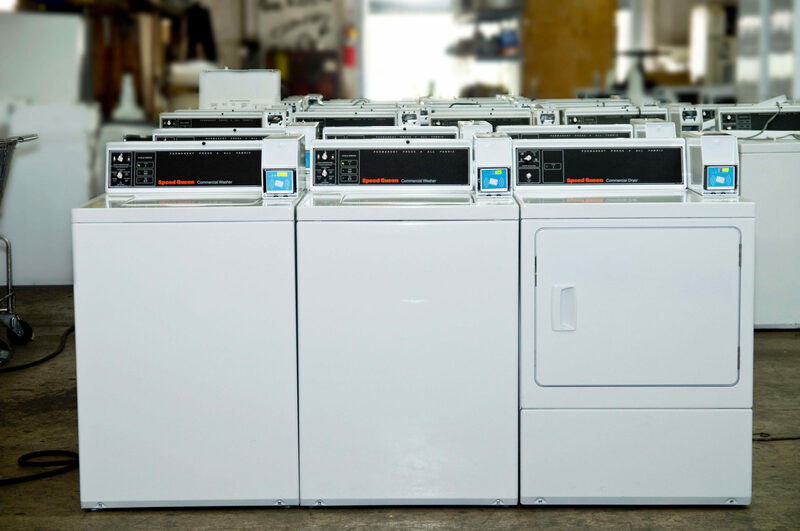 As a leading laundry vendor in Florida, Commercial Laundries Orlando can equip your laundry facility with high quality Maytag, Whirlpool, Speed Queen and other name brand commercial laundry machines at competitive prices. You can select machines from famous American manufacturers that are known throughout the world for producing top quality products. Both Maytag and Speed Queen set high benchmarks on their products and use sustainable metal components to build them. Both brands offer Energy Star certified machines that are energy efficient and cost-effective in saving money on gas, electric and water costs. Speed Queen commercial laundry products are known to adapt to changes in technology and mechanics, making them more relevant and useful during their lifetime. You will find that our Speed Queen commercial washers and dryers are built to last twenty-five years or more, even though they endure rigorous and continuous daily use. Both Speed Queen and Maytag commercial washers and dryers are available in front and top loading models, and also in space saving stackables. With rugged steel drive components and stainless steel inner and outer washtubs our Maytag and Speed Queen commercial laundry washers outlast the competition. And with improved suspension engineering, our machines easily redistribute laundry during the wash cycle. Both our Speed Queen and Maytag commercial laundry machines have highly engineered industrial controls that can withstand power surges and outages, vibrations, and multiple temperature environments. Your patrons will find our easy to read digital display dashboards easy to operate, plus our Maytag and Speed Queen commercial laundry products offer multiple cycle options and water temperature selections. These are the type of features that make us known for having the best commercial laundry equipment not only in Orlando Florida, but on the market. As a part of the advanced technology used by both companies, Speed Queen and Maytag have designed dynamic balancing technology that has revolutionized their front loaders. By using sensors and algorithms, they have virtually eliminated vibrations that result in less residual moisture in laundry, faster cycle and drying times and a silent operation. These features help to reduce energy usage and save on utility costs. Depending on the name brand you choose, and your budget, commercial laundry products are available in credit card and coin operated formats. Coin op machines feature durable, large-capacity coin vault construction that can withstand tampering and damage. And coin slots are designed to reject slugs and foreign money. Credit card operated machines add the extra convenience of not having to collect coins for laundry tasks. Your patron simply slides the card through the scanner and the machine is engaged for use. Cashless systems have a high approval rate among patrons, and adding extra credit to a card is accomplished through a simple transaction at the CleanPay Kiosk located in your laundry facility. All transaction information is stored at one convenient location making it readily accessible for bookkeeping purposes, and price changes can be made in small or large increments. Whether you get coin and card op machines, your Orlando patrons will love the performance of our laundry equipment. You can have the best commercial laundry equipment on the market when you select from our popular, top brand commercial washers and dryers from Whirlpool, Maytag, SpeedQueen and more.